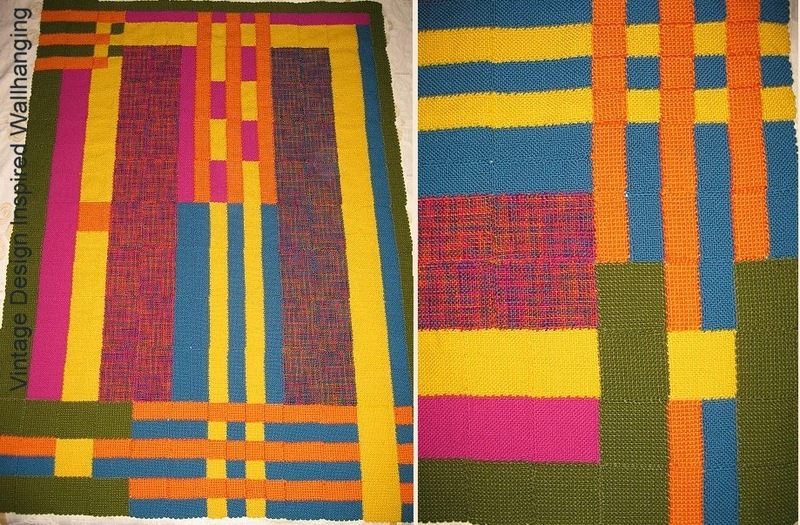 This is a blanket made using 2" x 2", 4" x 4", 2" x 4" and 4" x 6" pin looms. It measures 50" x 60" (126 cm x 152 cm). My intention was to capture the flavor of an Amish quilt, with the joins between the individual weavies substituting for the quilting. It is called "Rosebud" because that was the idea for the stylized flower in the corner of each piece. 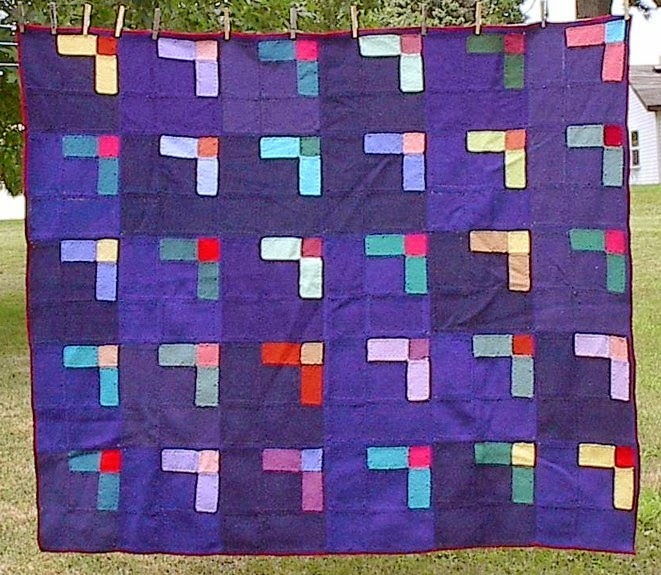 As with any quilt pattern, the variety of pieces in each block opens the possibility of tremendous variability in the final design. Personally, I like the simplicity of using a dominant color for most of the weavies, letting the bit of color in one corner stand out. My concern in using one dominant color for the blanket was that it would feel flat, that it wouldn't have enough texture. I decided to add texture by deliberately buying a few skeins of navy yarn at a time, ensuring that the colors of the blocks would vary and that I could afford to buy the yarn. The blocks were primarily made separately. 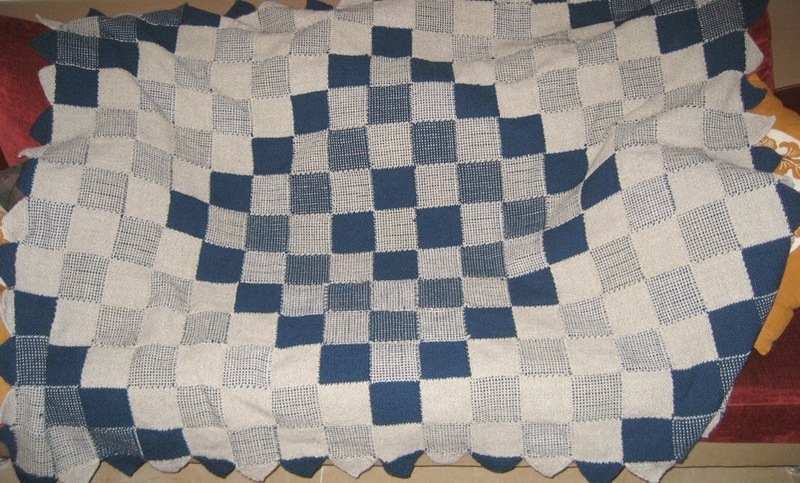 I would weave enough weavies for one or two blocks, then join them and add a crocheted edging to each. That way I could put them away until I had the 30 needed for the blanket. One feature that I consider an advantage to using pin looms is that it is not as important to match colors in an exquisite manner. Many people have had the experience of finding that the yarn they want to use comes from two dye lots, almost but not quite a match. With pin looms it is possible to separate those different dye lots in a pattern so that the difference is indiscernible. Or you can feature the differences. The Rosebud blanket was assembled by using a single crochet edge on each weavie, then whipstitching the weavies together. That has been one of my favorite approaches to joining items because I feel that the edging matches the weight of the pin loom fabric. But as you can see with Rick Fahrenbruch's work, there is no need to edge the individual pieces in order to get a finished look. I am going to write at least one article on various approaches to joining weavies together for this blog, as well as have a bunch of information on approaches to joining in Pin Loom Weaving. My family knows that I am passionate about all things pin loom and pointed me toward these pin loom blankets. I sent a request to Mr. Fahrenbruch and he was kind enough to allow the posting of these pictures of his work. It took me a while to convince myself that this blanket was made with pin looms. Here are some close ups of this incredible blanket. Rick, thank you allowing us to share in your work. I honestly feel speechless-- the composition of the wall hanging above is wonderful. The use of negative space in the red on blue blanket at the top is incredible. It is so fun to see this blanket taking advantage of the pin loom's ability to display the two colors over the spectrum from all white to all navy. This is another example of composition that is so beyond my expectations of pin looms that I am grateful for the close-up, in order to see how it was done. I'm now working on wall-hangings and I'll share them with you when they are ready to be photographed." The perfect animals to celebrate the polar vortex, another recent visitor to Minnesota. I have added a second bear below with better bear paws. Ideas for animals continue to gallop ahead. Last night saw the birth of this polar bear. 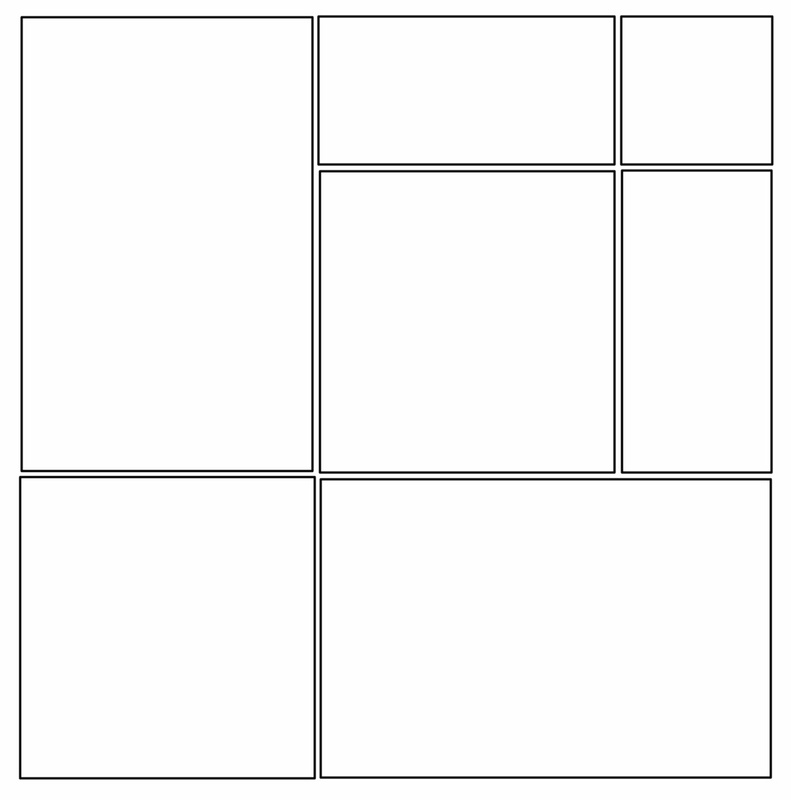 This is definitely a pattern that will need some modification. I really like that it has a bear-like head. I checked out some pictures of polar bears, which helped me know to set the ears back far enough. I really love the dark pads on the feet. You may notice that the bear seems to be standing on its toes, which was not intentional. I believe that this is a function of using too much stuffing and weaving it in too stiff a yarn. 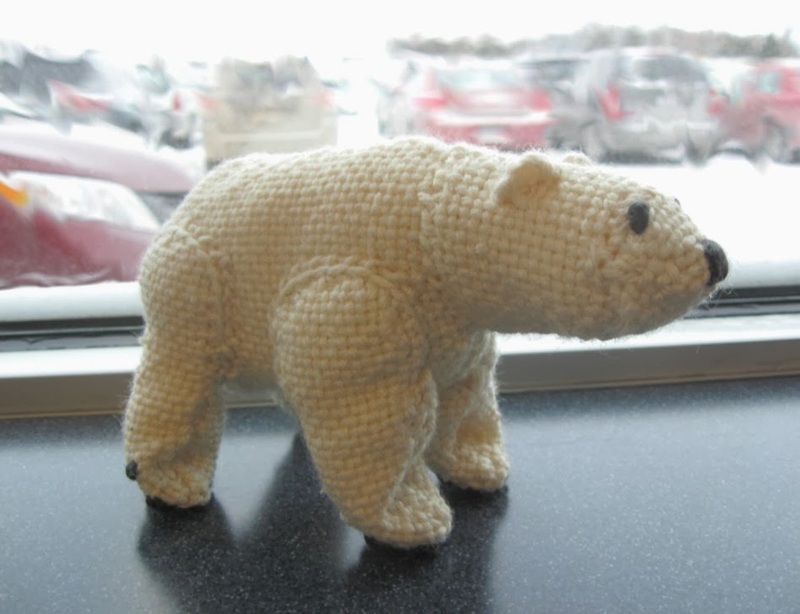 The bear was woven in an acrylic, worsted weight off-white yarn. I will need to try weaving it in perhaps a combination of baby-weight yarn with a light chenille yarn. The chenille would offer softness and give to the fabric, the baby weight would make the fabric much lighter, therefor even more give. 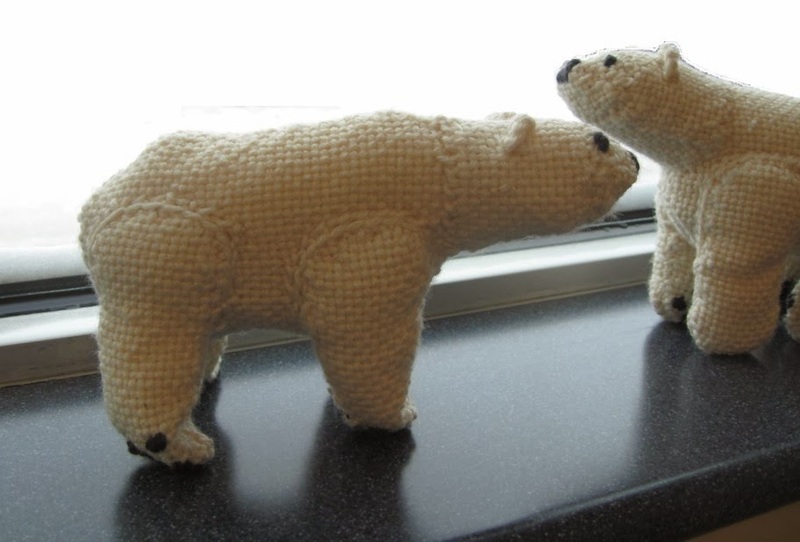 I have added a second bear, made out of the same yarn as the first because I wove enough material for both bears at the same time. The only change that I made was pinching in above the paw area at the front of each leg. There may need to be further modifications and I think that softer yarn will also help, but its not too bad. Bear Number 2 on left, Bear Number 1 on right. 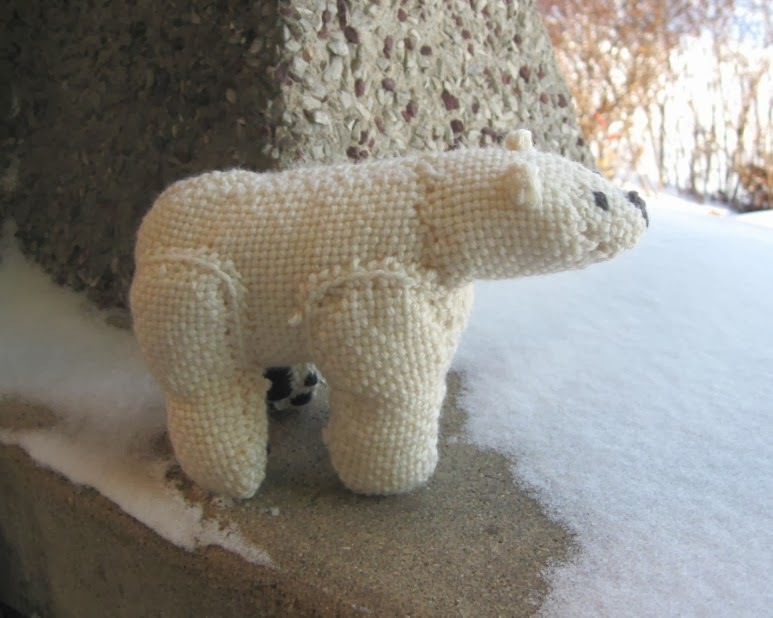 The bear body is made from two 4" x 6" weavies that were fastened together (I use single crochet and slip stitch) to form an oval. Leave an opening at the neck to turn it inside out and stuff. The face is a 2" x 2" that has had two small darts taken in it to make a cone. This is attached to a 2" x 6" weavie that has been curled around and stitched together to form the neck. The legs are each a 2" x 4" weavie on the outer side and a 2" x 2" weavie on the inner side. 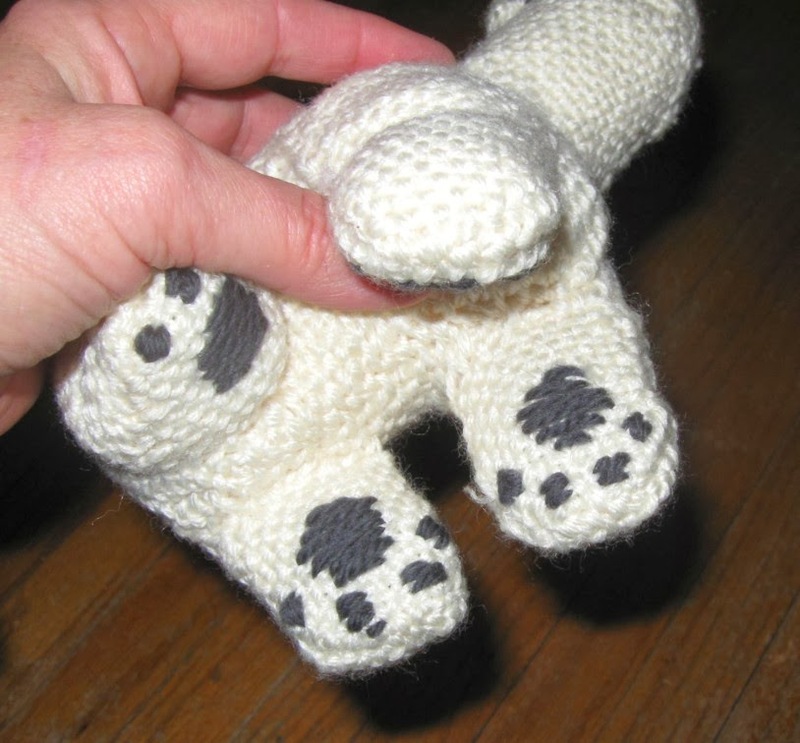 These are joined together using single crochet and slip stitch to make the paws, turned inside out and stuffed. The dark toe pads, nose and eyes are added on. The ears are a loop of crochet, ch3, sc2, sc1 in loop. I t is going to take quite a while for me to write down all the steps and put together good diagrams. At this point I figure that I should listen to the creative urge that is making all these neat animals and fill in the details later. Yarn used for Bears 1 and 2. I wove and constructed the Prism Afghan shortly after getting my 2" x 4" Weavette Loom. 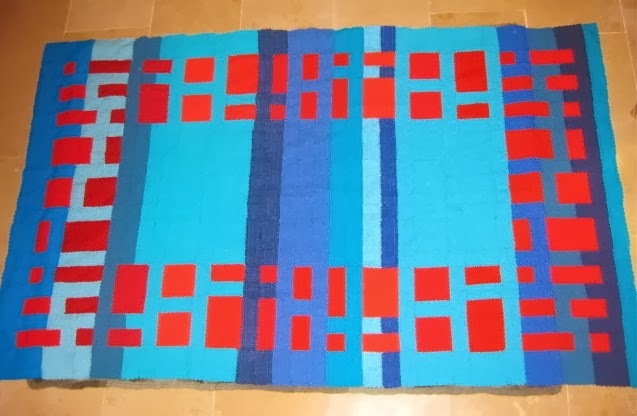 It was such a thrill to be able to weave a rectangle. 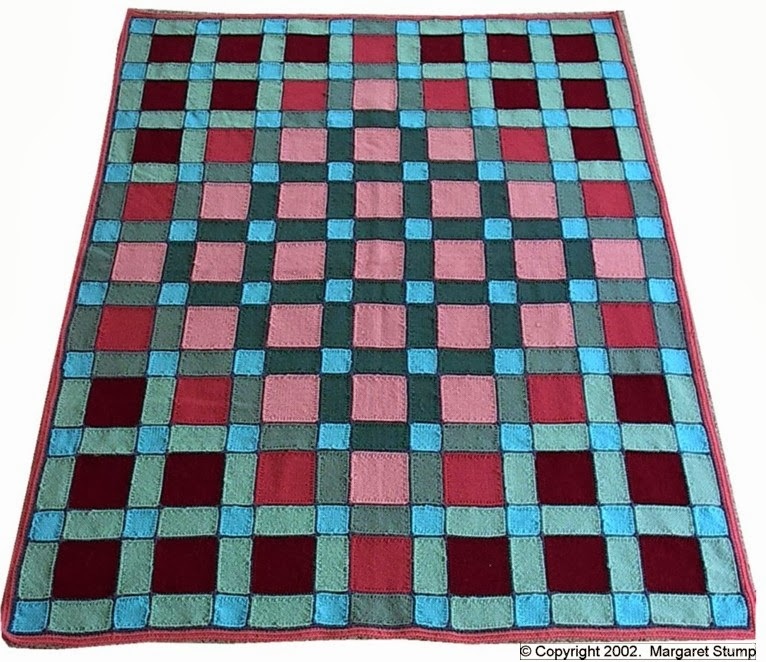 My intention was to weave a blanket in two contrasting colors with one color going from dark in the middle to light on the outside, the other color going from dark on the outside to light in the middle. 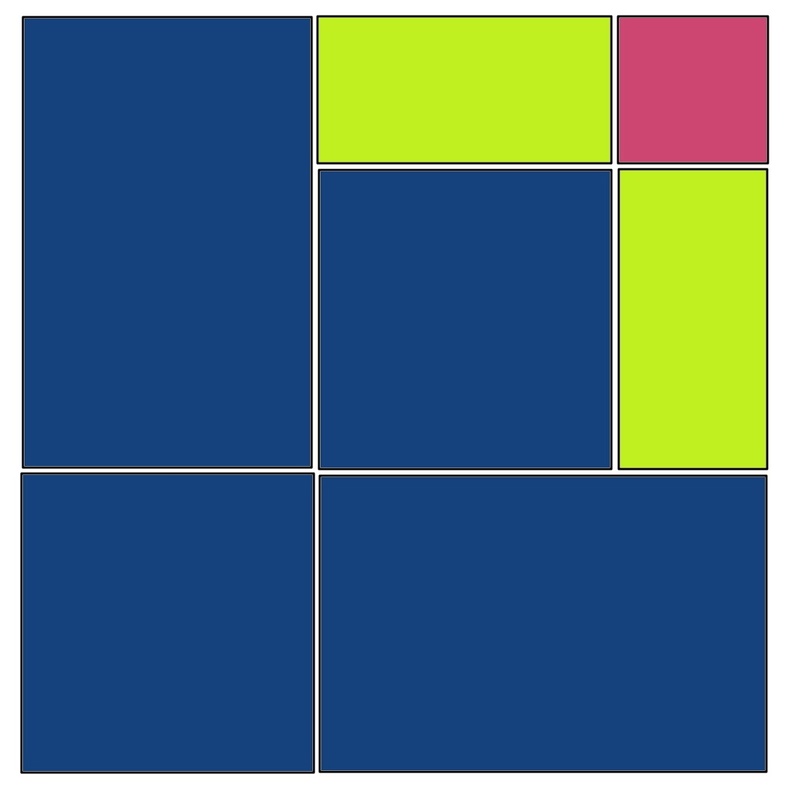 The third color, in the little blue squares, does not change at all. It looks as though it does due to the other color variations. This blanket is joined in a two step process. Each weavie is finished with a row of single crochet in the same color as the weaving. The pieces are assembled using a whipstitch. When I whipstitch two different colored weavies together, I either use a completely separate color-- if that will add to the composition, or as in this case, I use one of the one of the two colors from the weaving. My rule for choosing which color to use is, whichever color you want to emphasize, use the other color to complete the whipstitch. This afghan was made entirely with Red Heart yarns, which was all I could afford at the time and offered the variation of colors that I needed. Making an afghan with a single yarn type and manufacturer lets it go together a little better. The cloth seems to lay more evenly. However, that asset is offset by the differences in texture and design that can be captured by the use of more than one yarn type, which is very important to me.